Preclinical research into new immunotherapies requires in vivo models with fully functional immunity. Syngeneic tumor models are allografts derived from immortalized mouse cancer cell lines which originated from the same inbred strain of mice. 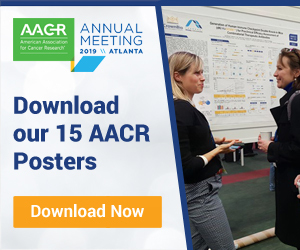 This provides simple models with fully competent immunity for assessing your new single agent and combination immunotherapies. We provide a large collection of over 40 syngeneic models covering a variety of cancer types, available now for your efficacy studies. Our syngeneic models are well characterized, making them the ideal models to evaluate your novel immuno-oncology agents as well as combination therapies. 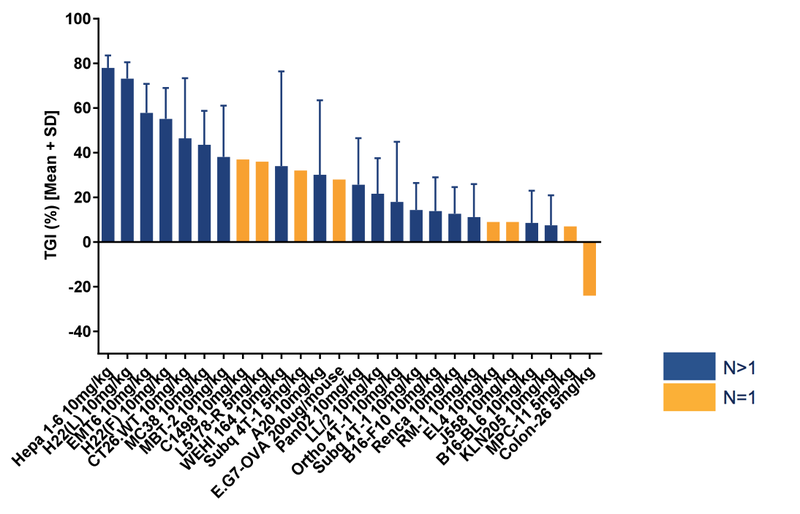 The extensive characterization data found within our searchable database MuBase® includes immune checkpoint inhibitor benchmarking (including model response to anti-PD-1, PD-L1, and CTLA-4) and tumor RNAseq. Baseline tumor immunoprofiling is also available for a subset of our models with further characterization ongoing. We provide syngeneic models of metastasis as well as orthotopic and bioluminescent models. This allows you to study clinically relevant metastatic invasion, metastatic lesions in secondary organs, and to evaluate your agents which target metastasis. 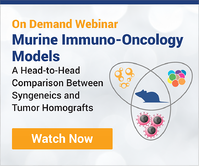 Our orthotopic models provide a tumor microenvironment more comparable to the patient. The tumors form at organ-specific sites, facilitating metastatic spread, and supporting immune and stromal component interactions. Our bioluminescent imaging (BLI) capabilities enable non-invasive longitudinal monitoring of orthotopic tumor burden. This provides you with optimal randomization, reduction of false positives, and continuous feedback, supporting the most appropriate treatment regimens mid-study. Fast-track the screening of your novel immunotherapeutics with MuScreen™, our large-scale, in vivo screening platform for cancer immunotherapeutics. MuScreen can improve efficiency and save you study time by helping you to rapidly identify the right markers and models for your preclinical programs. 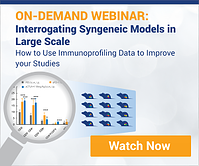 Evaluate your agent's TGI and PD effects with either the Syngeneic Efficacy or PD Screening Panel of 6 or 12 models.